New Turbos From TurboPACS. If We Use Them Theres A Reason Why ! The truth is that many so called New Turbos found on sites like eBay are cheap Chinese imitations, substandard copies and poor quality turbos that simply aren’t fit for purpose. 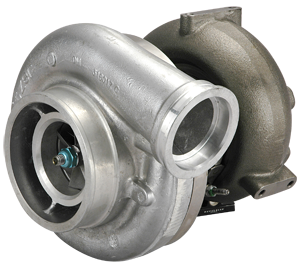 When purchasing New Turbos it comes down to price vs value, and investing in a quality turbocharger from a reputable supplier like us here at Turbopacs in Durham will almost always pay dividends in the long run. New turbos can, in many cases, be supplied off the shelf or ordered and shipped direct meaning quicker despatch times, and express delivery. And all of our new turbochargers are of OE Matching Quality, coming off the same production line as those turbochargers you would buy from your main dealer. All of our new turbochargers carry a 2 Year Unlimited Mileage Warranty for your peace of mind. With many New Turbos, you really do get what you pay for, and the old adage “If it looks to good to be true, it probably is” definitely applies! Whilst a cheaply manufactured, poor quality turbocharger might look very similar to a high quality one at first glance, the difference is usually in the details – and these details have a huge impact on performance durability and safety and of course your pocket. One of the main ways manufacturers utilise to keep an New Turbos costs down is to replacing high quality materials with cheaper alternatives. Often, these changes aren’t immediately visible and can only be seen when a turbo is taken apart and of course when used their life span is substantially reduced. Generally, cheaper, low quality turbochargers are manufactured by companies who copy these designs, whilst making a few small changes to reduce the costs – without worrying about how these changes will affect the quality of the final product. For an exchange turbo to work effectively, all its components need to work in harmony, and it’s important to remember that it’s not just the initial quality of these parts that matters – they also need to be thoroughly tested and setup during the end process of construction. High quality turbochargers and components are always put through a rigorous testing process to ensure that they are fit for purpose and capable of withstanding the stresses and strains of heavy use. All OE exchange turbos have to pass burst containment test to retain any debris if a turbo explodes – copies don’t. Typically, cheap components are not tested in the same way, which significantly affects the reliability of the finished turbocharger. They tend not to be leak tested, balanced or have their actuators calibrated too.